Met up with my high school friend Lei at the Bonifacio High Street for dinner and coffee to celebrate some milestones in both our careers. Dinner at Claw Daddy’s consisted of the Oyster Sampler and Char-grilled Opakapaka Risotto. 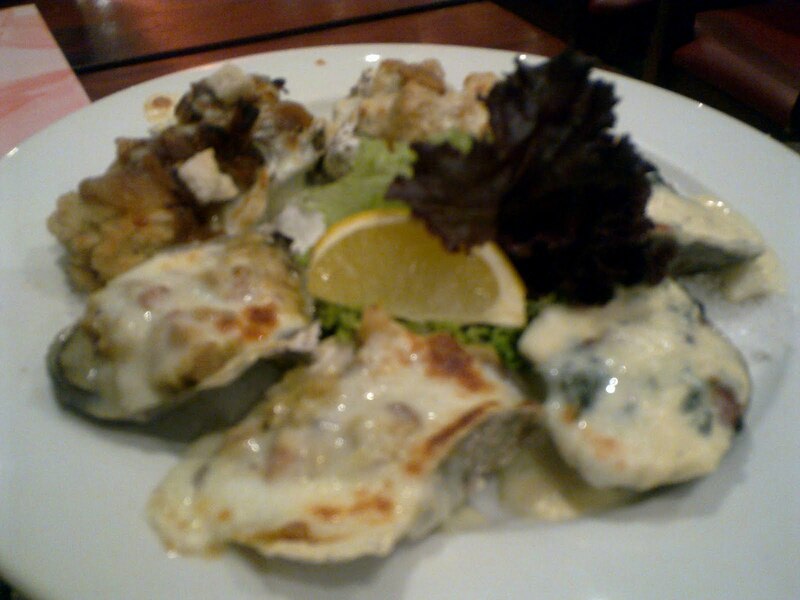 I’ve always ordered Oysters Rockefeller but that night, I wanted to taste the other flavors they had, hence the sample. 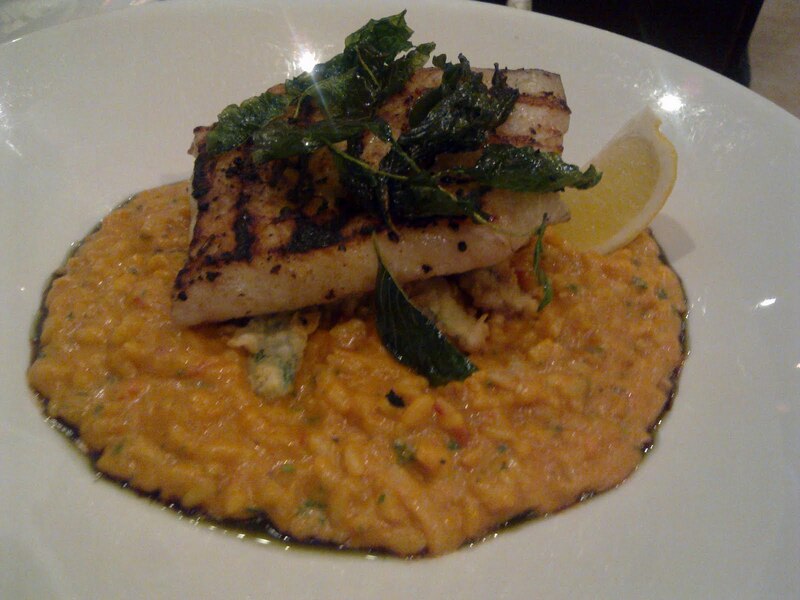 I loved the opakapaka (Hawaiian for pink snapper) which was served on top of shrimp bisque risotto. It was so rich and tasty I hated my seafood allergies so much. Stubborn ole me refuses to heed my doctor’s orders – I still eat seafood like there’s no tomorrow. Hahaha. In case you’re wondering – no, I wasn’t able to finish the two dishes I ordered. Lei has even worse allergies than I do (she swells; I only itch/redden). I would have loved to but they were just too much. Servings were good for two, and as for the oysters – seriously, I can’t eat eight HUGE oysters on my own.